Visiting Providecnia..err.. Provo any time soon? Want to know where to eat? What to eat? How to pronounce conch? No worries, good ole’ Ziggy is here to help. After years of experimenting and taking many for the team I recommend the following 7 day eating itinerary. Of course, in order to have a great meal there are many variables involved, especially since most of these establishments are geared toward tourists and offer very full menus. And you just never know when the executive chef leaves on maternity leave (happened) or just leaves (always happens). Its a probabilities game folks. And in my humble opinion the odds increase with this plan. Click on the names where available to see reviews, pictures and suggested dishes. Las Brisas (Got hammered after Irma, currently positioned on a temporary deck nearby) – Starting with the obvious. I don’t normally recommend places just for the view and I will not start now. Luckily the food, with a variety of Spanish and Caribbean offerings is pretty good, and the view of stunning Chalk Sound can only help. Try the killer Lobster Salad when in season. 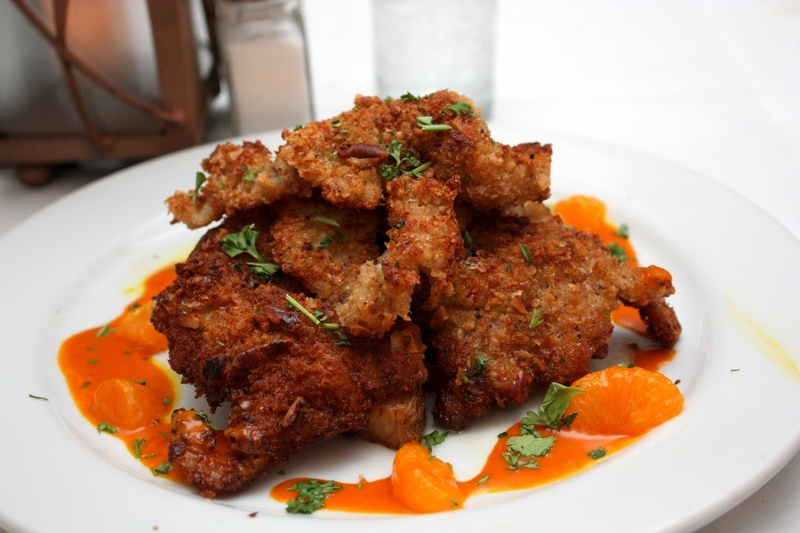 Flamingo’s – Come here for one of the Island’s most celebrated dishes, the curried grouper. Add the consistently strong rum punch, and the stunning views and you got yourself a future regular. But dont make the mistake I did (twice) and come here without cash. Otherwise, No Grouper For You! (Update: The now accept CC). We normally come here for lunch, but sunset dinners are just as grouper friendly. Bugaloos – Another fun, local spot. Once you find this one in Five Cays you will get rewarded with one of the best setups on the island. Some live music on Sunday nights (I believe) and maybe other nights, but we normally come for lunch after Taylor Bay. Service can give ‘Island Time’ a new meaning, but its worth waiting for the fresher Snapper around. Try the conch salad (middle picture) as well. Lupo – Putting this among the lunches since that’s when we go, but something tells me dinners can be even more eventful. Well, the fresh pasta filled menu told me. But for lunch you can still enjoy the signature meatballs, the sick romaine lettuce (yes, that’s right, I said romaine lettuce), and don’t leave the island without trying the Lupo Tiramisu. Sweet T’s – Time to give your wallet a breather. And I dont mean a little hole in your shorts. Those you need to say goodbye to. Ultra cheap Fried Chicken! It took me some time to add this one here because its not your typical resort lunch, but it’s always our first or last stop with luggage. As you leave the airport and turn to the main highway, after the flamingo statue, you’ll be greeted by fried chicken scent from the pink building on your right. You order by the dollar. $7 chicken and $2 fries will feed a family of 4. Da Conch Shack – An island institution like no other. Toes in the sand (pretty sure can cause fungus but well worth it), picnic tables inches from the water. Conch everywhere including in the water where they grow their own. Great relaxing vibe. I’ve had a love, hate, love relationship with the place over the years, but if you havent been, you owe it to yourself to come and be the judge. Try the jerk wings! 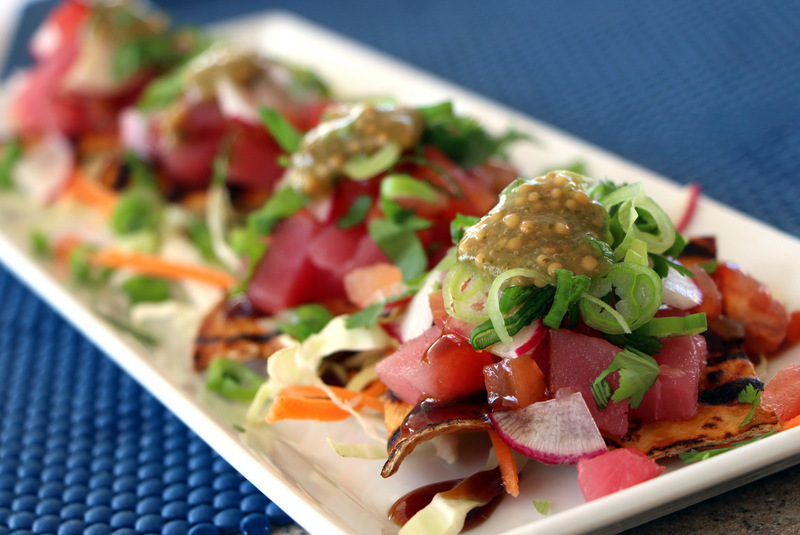 Bonus: Takeout from Delicious Dishes: Local extraordinaire in the old Miss Moonies location. From the Seven Stars, in the roundabout on Leeway hwy, make a left, and its right there in the little parking lot on the right. Extremely popular with the locals. Oxtail and Curried goat on the balcony of your hotel, overlooking people eating Caesar salads with stale chicken. Doesnt get much better. Le Bouchon – The former Caicos Cafe owner thankfully back in the game. Sidewalk Parisian Champs-Elysées style without the Parisians and the tourists. Hmmm, actually now that I think about it its pretty much all Parisians and tourists. Though I am noticing a growing amount of local following the last few years. Try the Escargot, and if you don’t try the legendary Steak au Poivre, your homework is incomplete. Chinson’s Grill Shack – A 15 minute schlep from the resort area may feel longer in paradise, but its worth it for this Jamaican-Chinese gem (Yes, its a thing), and sea view. Ok, its more like some hotel advertised sea views, where the meaning is more like “See? View!” with some sea in the horizon. But in this case you are mostly overlooking the highway, inside a fun and vibrant shack. The smooth Mr Chinson is always around to make sure everything is Kosher. Over the years we settled on the Jerk chicken, pulled pork sandwich, the spiciest curried goat around, steamed Grouper and the mixed Fried Rice. Lunch or dinner in this case, doesnt matter. We usually do lunch. Simone’s – A waitress/cook at Sharkbite turned restaurant owner. This is a mostly local hangout joint, but pale tourists like me are always welcome. Simone will greet you like she greets her children. And she will feed you as such too. Fishermen always around means they are not there for the frozen fish. 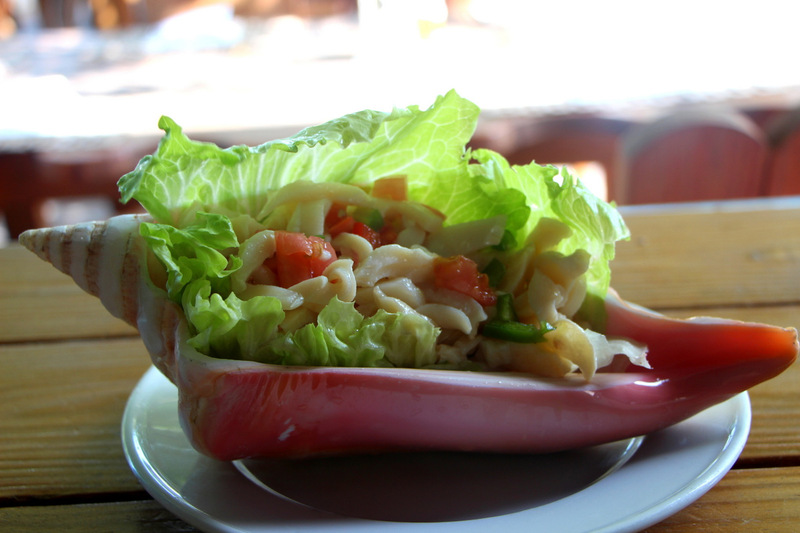 So ask whats available outside of the menu, which features some of the best conch salads on the island and a fine snapper. The fresh Wahoo last time was a Yahooooo! Caicos Cafe – This is not a mistake. Yes, I’m listing it twice. Why recommend a different plan than what we are doing on every single trip. Go here at the beginning of the week, and if you like it enough, book again on your way out. Chances are you wont find better. Or… how about something “local” like the Thursday night fish fry, or Caravel. Or perhaps a splurge at Coyaba, another island institution. Maybe experience the classic Tuna with sunset at Magnolia, or Via Veneto for the most authentic Italian menu on the island. A special mention for Breakfast and light lunch: Caicos Bakery near Caicos Cafe. Nice Baguettes, quiches, almond croissants and more. Pick up some sandwiches at Julien’s deli for the flight back. You’ll be the envy of every other passenger, guaranteed! Hope it helps. Stay hungry my friends! Back to Provo for year number three in a few weeks, and we have a tough decision. We have one night out without kids and have still somehow missed Caicos Cafe and Coco Bistro. Which one would you do if you could only do one??? ?